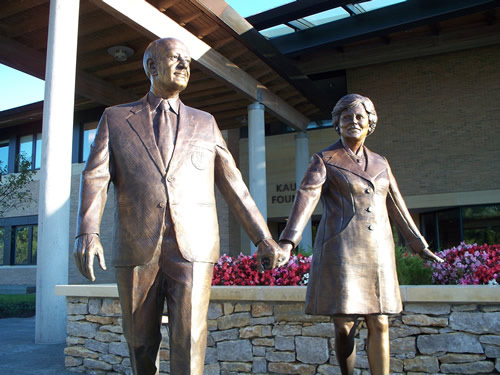 Welcome and thanks for your interest in the Muriel McBrien Kauffman Foundation. In 1987, due to the focus of their diverse interests, The Muriel I. and Ewing M. Kauffman Foundations separated into two separate organizations becoming The Muriel McBrien Kauffman and The Ewing Marion Kauffman Foundations. Little did any of us realize the impact these respective Foundations would have on the lives of so many people. Mrs. Kauffman’s center of attention was the performing and visual arts. Mr. Kauffman was passionate about education and entrepreneurial programs. 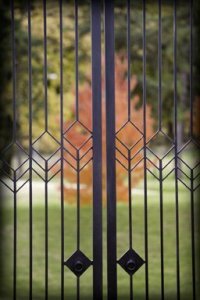 Although their goals and accomplishments were distinctly unique from one another, in many respects the arts and education go hand-in-hand, allowing each of them to pass on a legacy of giving, sharing, and making a difference. The opportunity for The Muriel McBrien Kauffman Foundation to bring to bear a visible and positive influence of Kansas City’s culture and economy for decades to come has been solidified by completing Mrs. Kauffman’s vision of a world-class performing arts center complex. 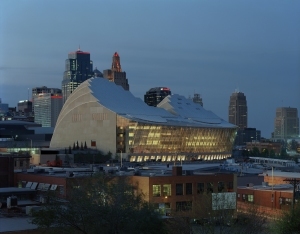 In 1994, she put the full force of her Foundation behind the idea and in realization of her aspirations, construction was completed in mid 2011 on the 316,000 square-foot Kauffman Center for the Performing Arts. The Center, which encompasses an 1,800-seat proscenium theater and a 1,600-seat dedicated concert hall, opened in September 2011. It will embrace the vital performance, artistic, educational, and community based components that she believed were so important in the daily fabric of our lives. I believe Mrs. K would approve of her Foundation’s commitment to enhance the arts in our wonderful metropolitan city.